Until 2016, Marta Tagliaferro only rode for Italian teams. 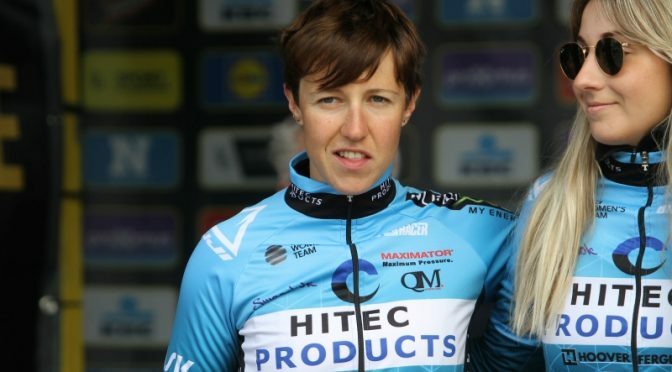 After two years at Cylance Pro Cycling, she joined Team Hitec Products – Birk Sport this season. With that, the team added a rider with a lot of experience, who also has a very strong sprint. “I am sure we will surprise a lot of people this year”, says the 29-years old Italian rider. 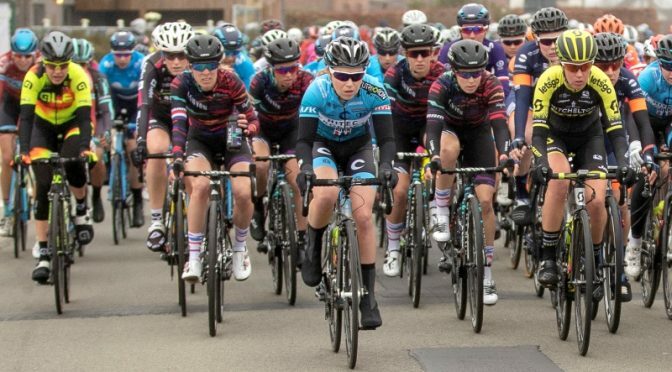 After five days of racing, the Healthy Ageing Tour came to an end on Sunday. A sixth place for Lucy Garner in the second stage and a fifth place for Lonneke Uneken a day later, were the best results for the team. But it is not only the results that count. “The whole week we were riding very well as a team”, Lonneke concluded. She was racing her home race in the north of Holland. The 18 years old Norwegian rider Thale Kielland Bjerk will join Team Hitec Products – Birk Sport with immediate effect. 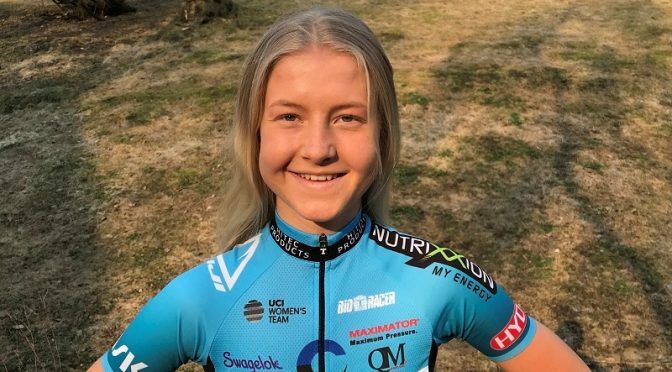 With her signing, Bjerk is the fourth rider for the Norwegian UCI team that is born in 2000. In 2017 Bjerk ended thirtieth in the junior race of the world championships cycling in Bergen. Last year she became second in the Norwegian championships road race and won the hilly stage race Tour de Hallingdal. 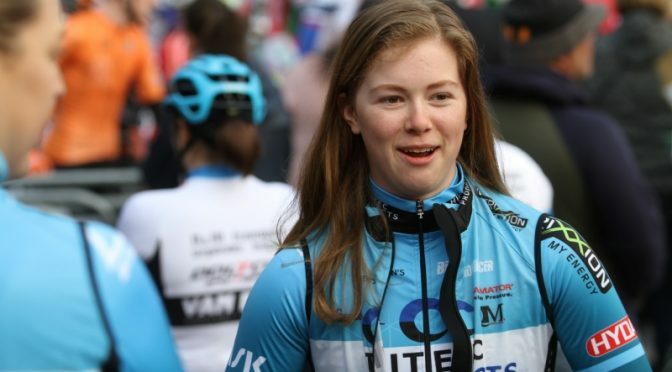 Bjerk will make her professional debut in de Tour of Uppsala (UCI 2.2). Three days after Gent-Wevelgem and four days before the Tour of Flanders, the peloton raced another big Belgium race on Wednesday. 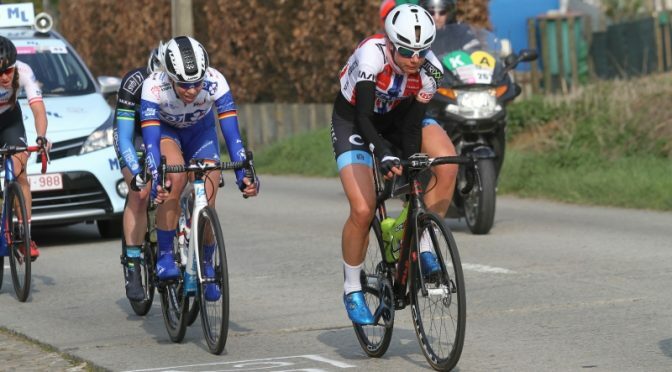 In Dwars door Vlaanderen Dutch rider Ellen van Dijk won solo, after escaping from a lead group of eleven riders. 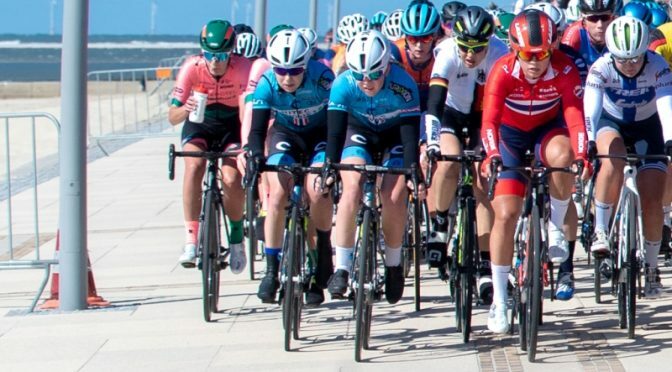 In the bunch sprint Lucy Garner sprinted to the eighteenth place, while Ingvild Gaskjenn was involved in a lead group during the race.